* Click here to download the table. 3. Preparatory Committee 1. New York. 17-18 September 2014. 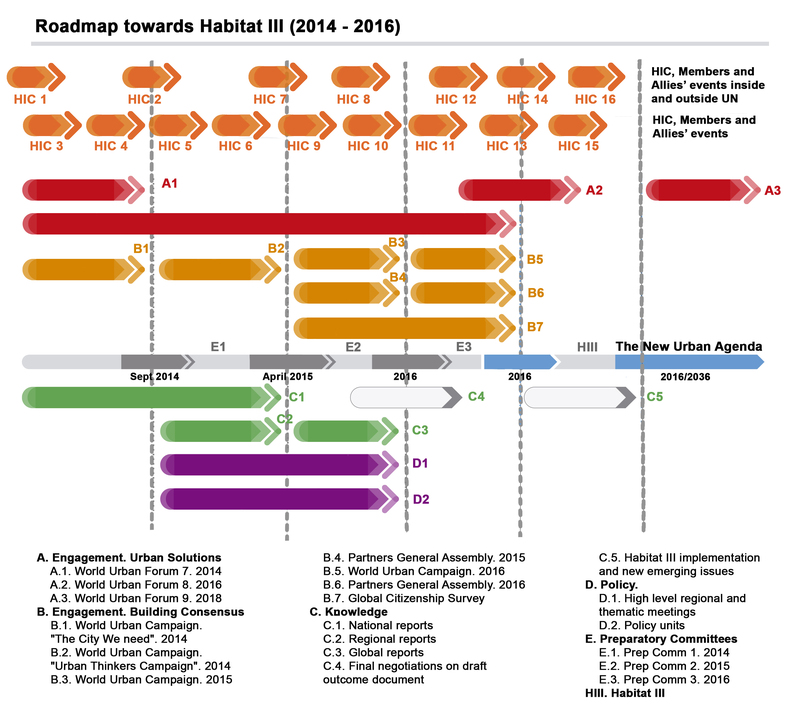 Video: The Preparatory Committee for the United Nations Conference on Housing and Sustainable Urban Development (Habitat III) (Watch to see HIC’s contribution, represented by Michael Kane in the second meeting (at 2:45:00)). EN. HIC-HLRN’s World Habitat Day 2014 report: Bearing Witness to Forced Evictions: Habitat II’s Broken Promise, Habitat III’s Missing Link. 5. Forum on Social Production of Habitat. Geneva. 2-4 October 2014. 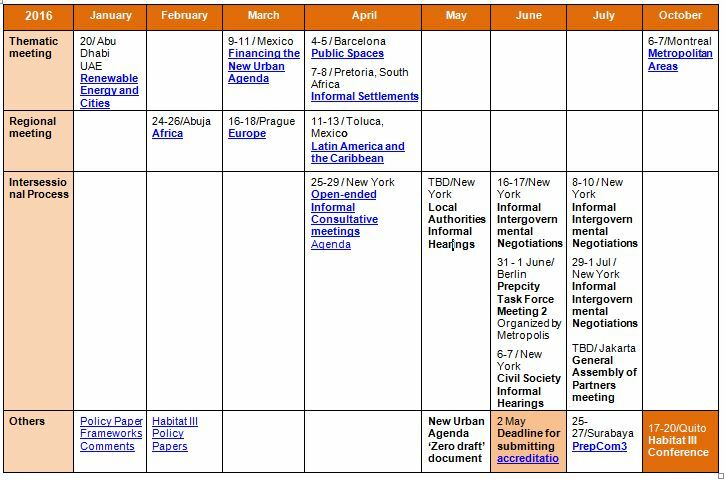 6. International Meeting on the Right to the City. São Paulo. November 2014. 7. PrepCom2. Nairobi. April 2015. México. Invitación a mesa de diálogo abierto Derecho a la ciudad y al territorio de la Plataforma mexicana por el derecho a la ciudad y en defensa del territorio (19 04 2016). Toluca. Mesa Redonda de la Organizaciones de la sociedad Civil; Hábitats Justos, Diversos y Participativos – Contribuciones de las-os Ciudadanas-os a la Nueva Agenda (19 04 2016).